Hello all! 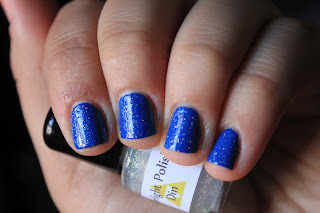 I have half of the lovely polishes I got to review from Starlight and Sparkles. I've ordered from this shop before, and I'm a big fan of all the duochrome shimmers and glitters! I'm going away for the weekend and I definitely plan on wearing Unicorn Tears ! I wore Dragon Scales in August for a long weekend away, and it held up so so well. I didn't have any chipping and really minimal tip wear. 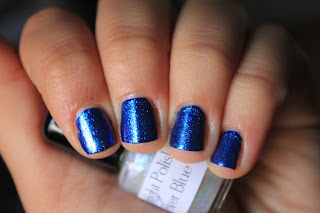 I usually can't comment on how long a polish wears [I change my polish too much! haha], but I can definitely recommend these. 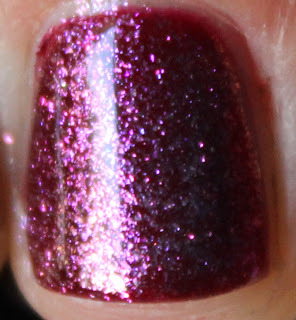 Din is a duochrome glitter topcoat that "shifts through red, orange, gold, and green". 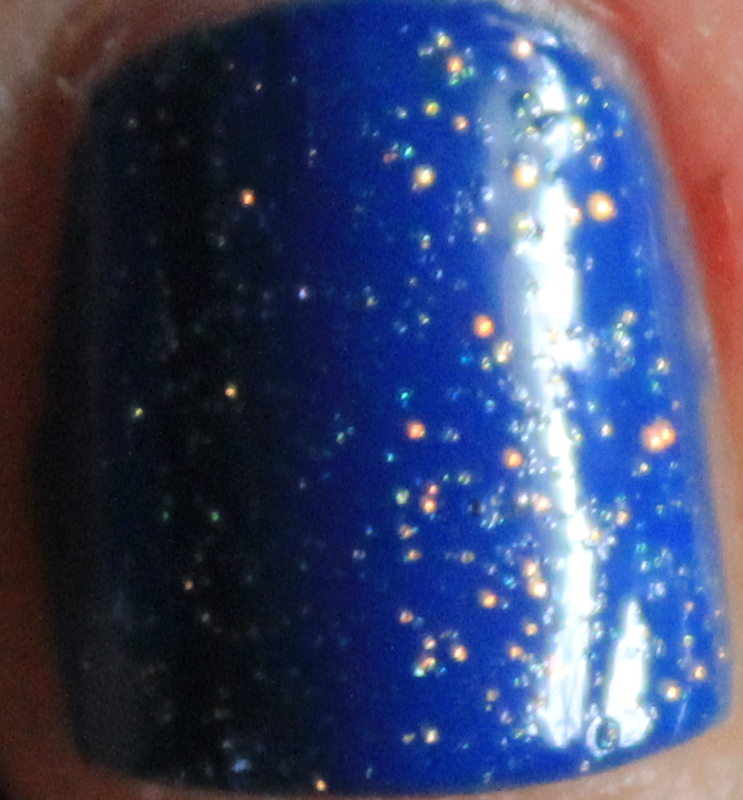 It's also probably my favorite combination of these :] It really warmed up the blue base. I saw more orange and gold more than any other color and then some green was second runner up. 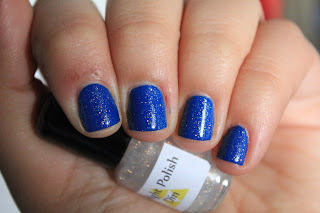 Din is a subtle way to get some soft sparkle on your nail. Over black, it's definitely more of a dramatic effect, but I really wanted to see what these could do! 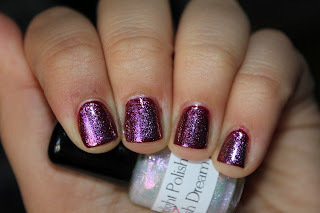 Splash Dream is a really gorgeous chunky shimmer, "pink to gold, flashing violet at the extreme of the color range". I saw a lot of the pink-purple flashes and then when I tilted my hand around, I got some of that pretty gold to warm up the polish. This has similar shimmer to Splash Dream, that duochrome-y, chunky shimmer. Ahh, so pretty. 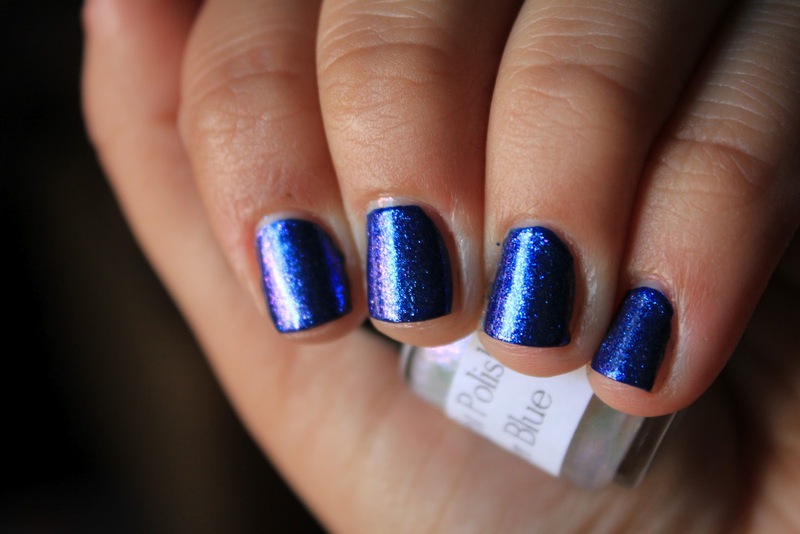 This is described as "blue to violet, flashing pink at the extreme of the color range". 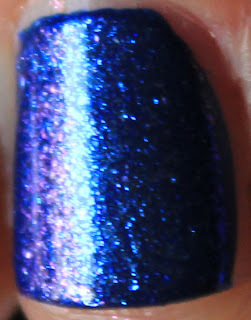 I mostly saw blue, then some purple, but I didn't get any pink over this base. These were all smooth, formula wise. Super easy to use :] And you get a TON of shimmer and glitter onto the nail in one coat. Go to Starlight and Sparkles to take a look at all the GORGEOUS polishes she has! 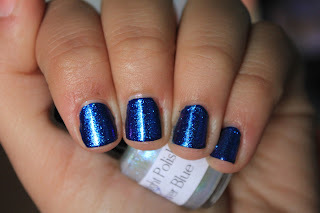 I love her topcoats, they are so much fun!!! oh my goodness! These are so beautiful! !